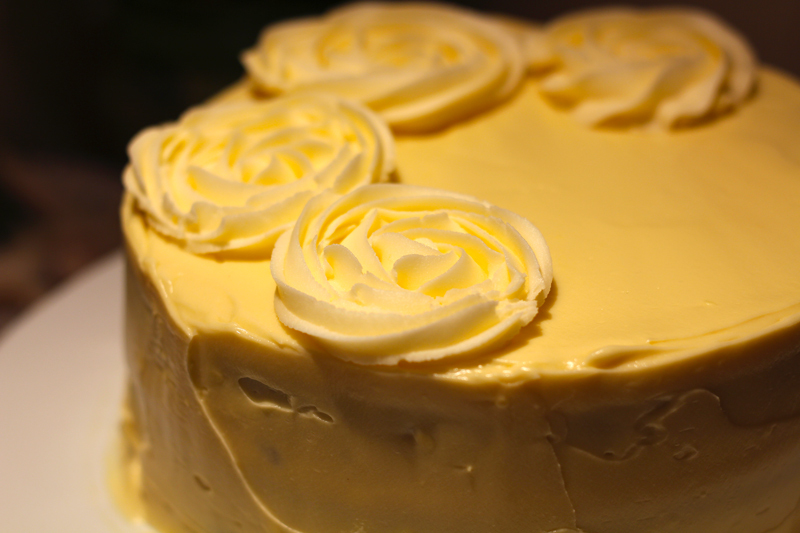 Start piping your rosettes on the top of the cake. Work downwards, changing frosting colors for each layer. Fill in any gaps with scollop swirls.